At Kidz Choice Pediatric Dentistry, we focus on preventive care to help each child have a healthy smile that will last a lifetime. 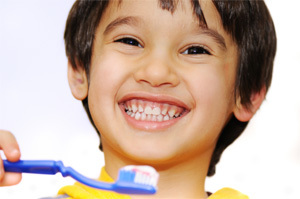 We take pride in your child’s health, comfort, and safety and we provide only the highest quality dentistry with new dental techniques, equipments, and materials. Beginning at one year old, children need to see a dentist for regular checkups every 6 months. Kidz Choice Pediatric Dentistry can pre-schedule their next appointment the same day as their check-up, and we send out reminders a couple of weeks in advance for parents via mail and/or phone. We here at Kidz Choice Pediatric Dentistry provide your child with gentle, safe, and state-of-the-art care, establishing a long lasting relationship with your child by the age of one. We offer preventative services at each appointment, including teeth cleanings, hygiene instructions, and as needed, x-rays. 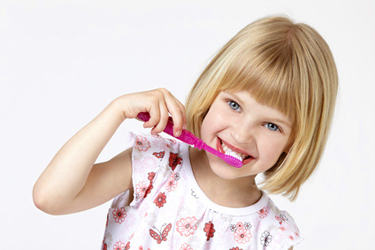 We’ll help teach your child to prevent cavities by learning the proper brushing and flossing techniques. Our dentists use fluoride varnish at every cleaning appointment. We also insure your child is getting enough fluoride through their toothpaste and drinking water to prevent tooth decay. Through advances in dental science, dental professionals determined that most tooth decay in kids and teens occurred due to food particles trapped in the grooves and pits of the molars. We prevent this decay by applying a sealant made of resin material to keep food away from these areas. We continually check on the sealant and reapply if needed. Gone are the days when kids were subjected to harsh, unsightly silver fillings. At Kidz Choice Pediatric Dentistry, we use tooth-colored plastic fillings to repair teeth and stop the advancement of cavities. Free of mercury, they are much better for your child than older filling technology. For teeth with too many areas of decay, a filling may not suffice and a crown will need to be applied. We use crowns to restore a tooth’s structure, removing some of the soft tissue to stop infection. As your child’s teeth, jaw, and gums develop, incoming adult teeth can crowd remaining primary teeth. On the other hand, gaps can also form between teeth. Kidz Choice Pediatric Dentistry monitors your child’s spacing, placing space maintainers in as needed. Fixed space maintainers are cemented in place and held to one or multiple teeth. There are also removable space maintainers that can be adjusted or taken out as your child’s permanent teeth grow in. We sometimes give children nitrous oxide, commonly known as “laughing gas”, to relax them before and during a treatment. A breathing mask is placed over the child’s nose, keeping them calm while they stay awake. This safe, effective technique allows the dentist to easily complete dental treatments. The substance is quickly eliminated from the body after the treatment is complete. For more intense anxiety, we can also use moderate hospital sedation, in which the child stays awake, but will not remember the procedure. General anesthesia is used in very young children and children with special needs who are very apprehensive about dental procedures. This type of sedation will allow your child to sleep through the procedure and is performed in an outpatient setting. The benefits far outweigh the minor risks and prevent injury and/or emotional trauma during the appointment. 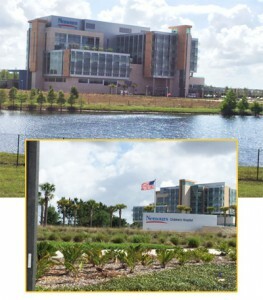 If a child needs Out Patient Surgery, it will be performed at Nemours Children’s Hospital. Kidz Choice Pediatric Dentistry provides emergency dental care for children of all ages. This includes (but is not limited to) tooth, gum, and jaw repairs after an accident, treating severe infections, saving teeth that have been knocked out, repairing chipped teeth, and treating jaw fractures. Call our office immediately if any of these occur, and seek the care of paramedics when necessary. While we do not apply braces in our office, we have a network of trusted orthodontists we can refer your family to if needed. Our dental staff will contact the chosen orthodontist to let them know you will be making an appointment with them in the near future. For parents of children with special needs, rest assured that Kidz Choice Pediatric Dentistry has the experience to address any unique requirements they have in a compassionate environment. Extractions are a last resort when restoring dental health, but if the tooth has too much decay for a filling, removing the tooth may be necessary. We will use alternative treatments whenever possible.